Chris is a filmmaker and Visual Effects supervisor with VFX credits including mega productions such as Pacific Rim Uprising, Assassin’s Creed, Avengers: Age of Ultron, Man of Steel, The Hunger Games: Catching Fire, and most recently Netflix’ Triple Frontier. He has written and directed several award-winning short films. His new horror short FATHER was released in October 2018 after more than 40 screenings. THE LAST DANCE, a touching Sci-Fi love story which was produced with support by Double Negative, has recently completed its festival run. It is his most ambitious film to date. In 2015, Chris released his horror short 20 HZ which has been praised for its atmosphere and assured direction. 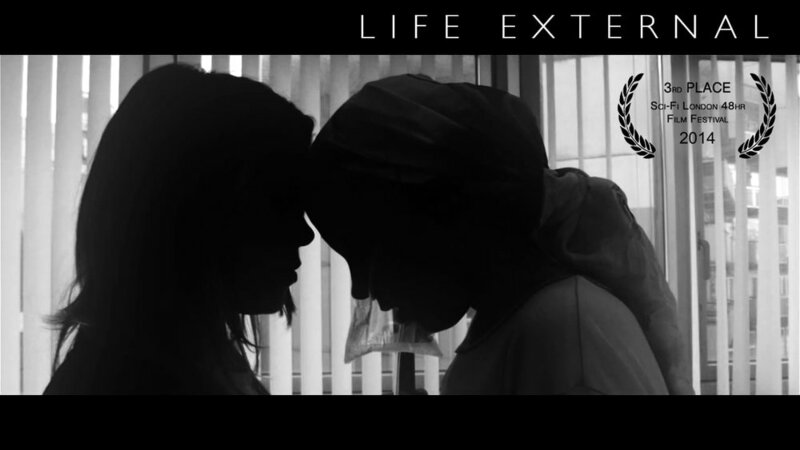 His film LIFE EXTERNAL won 3rd prize out of 217 submissions at the renowned Sci-Fi London 48hr Film Challenge 2014. 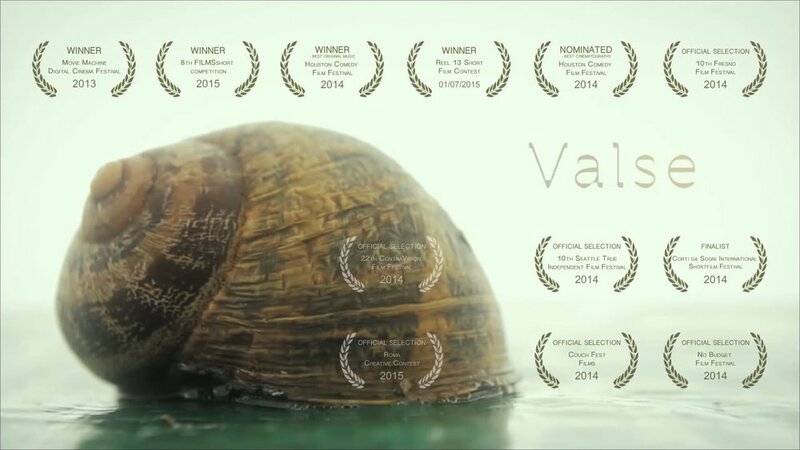 The year before, his romantic short VALSE garnered numerous awards, most notably Grand Prize at the 2013 Movie Machine Digital Cinema Festival. In 2012, he won the “Million Hits Viral Competition” with a spec beer commercial. In 2016, Chris published a series of carefully designed viral videos showing a giant sea monster in the river Thames that received dozens of millions of views and generated massive hype in the UK’s capital. At present, Chris is in post production with his next short (a live action / animation hybrid), and is developing more short, TV and feature scripts to direct in the future. As a visual artist, Chris has an outstanding command of the cinematic language, using it expertly to maximize the emotional impact of his work. What is more, he has thorough knowledge of and a burning passion for every part of the filmmaking process, and loves nothing more than making great things with great people. He is always looking for new challenging and ambitious stories to tell. Chris is a Visual Effects Supervisor at Double Negative. He has just finished working as Visual Effects Supervisor on Netflix’ TRIPLE FRONTIER, and as Digital Effects Supervisor on sci-fi monster film PACIFIC RIM UPRISING. Recently he worked as on-set supervisor with the second unit on Marvel’s ANT-MAN AND THE WASP. He was also VFX Supervisor on director Etan Cohen’s humorous take on the Sherlock Holmes stories - HOLMES AND WATSON - for which he spent three months on set, including supervision of a splinter unit. Prior to this he completed work as 2D Sequence Supervisor on ASSASSIN'S CREED, also leading a splinter unit shoot, and on Warner Bros. sci-fi disaster movie GEOSTORM, for which Chris directed various internal element shoots. After initially working on the technical side of computer graphics, Chris decided to take a more creative route and got his start in visual effects with Double Negative in 2010, working on PAUL as a prep artist. In the years since, he has worked on over a dozen feature films such as AVENGERS: AGE OF ULTRON, MAN OF STEEL and THE HUNGER GAMES: CATCHING FIRE, quickly rising to his first supervisor role only five years later. Chris' filmmaking experience gives him a broad perspective of the entire process and the ability to effortlessly communicate with every department.